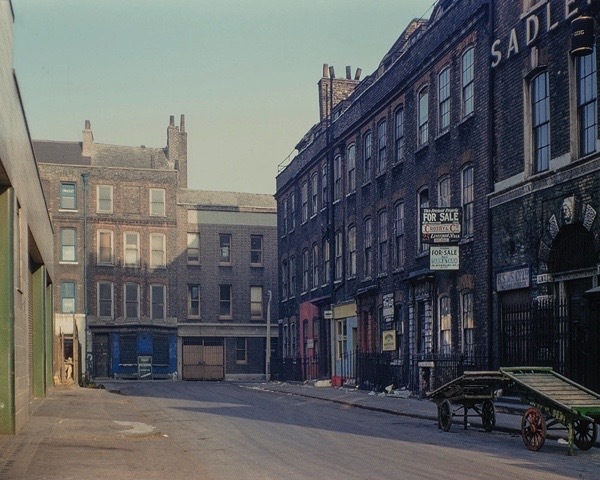 Stepney Photographer David Granick (1912-80) has been receiving well-deserved recognition recently thanks to an exhibition at Tower Hamlets Local History Library & Archives which runs until 5th May and a book The East End in Colour 1960-80 edited by Chris Dorley-Brown and published by Hoxton Minipress. 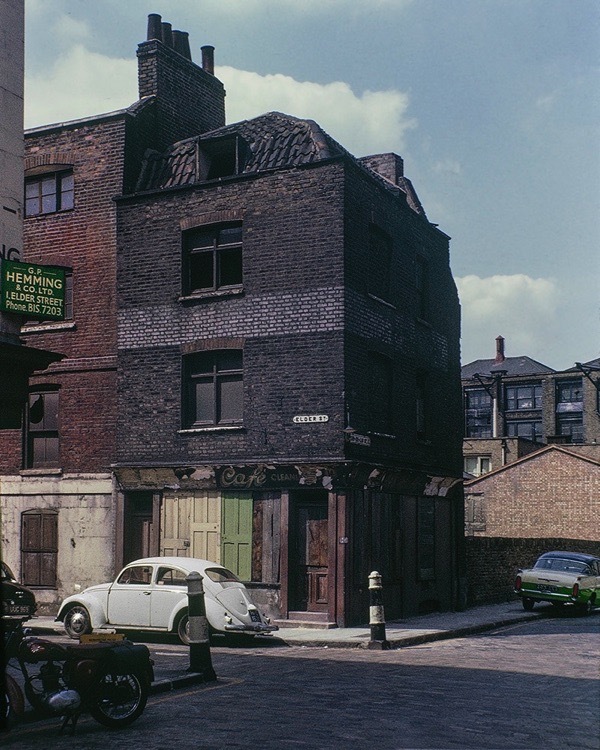 Doesn’t this show the awful level to which the area had sunk in the early 70′s? I can see why shortsighted people simply wanted to knock it all down, rather than restore – but, thankfully, they were wrong. 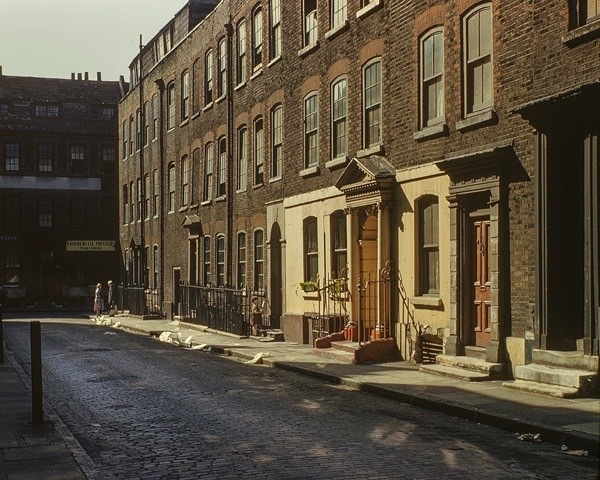 I remember another area that used to look like that in the late 1950′s – when even a 12-year old me recognised that the houses were beautiful, but run-down. 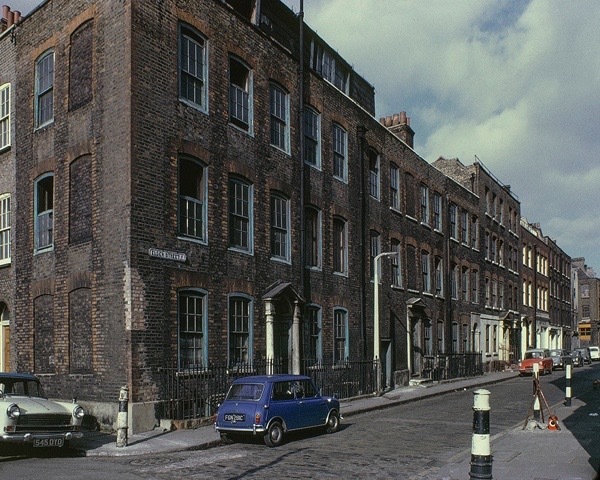 I think the first restoration I saw was about 1959 – the NW third of the N1 district – Islington/Highbury … look at it now! Though, as we all know, there are still the demolishers on the loose. 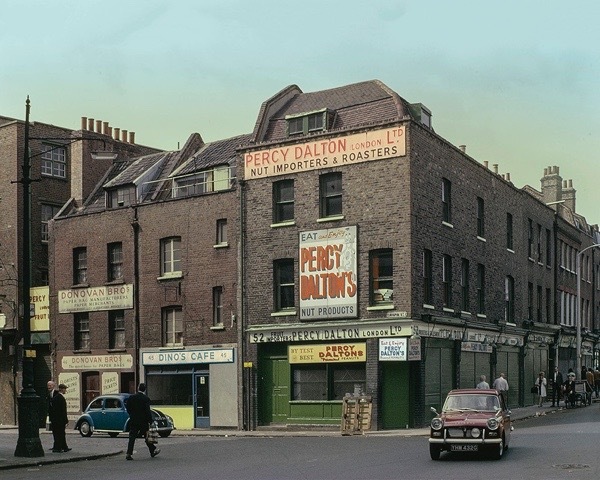 Fabulous photos please keep them coming, I would of loved to have been a teenager around that area in the 1950s, looking in them old shops. 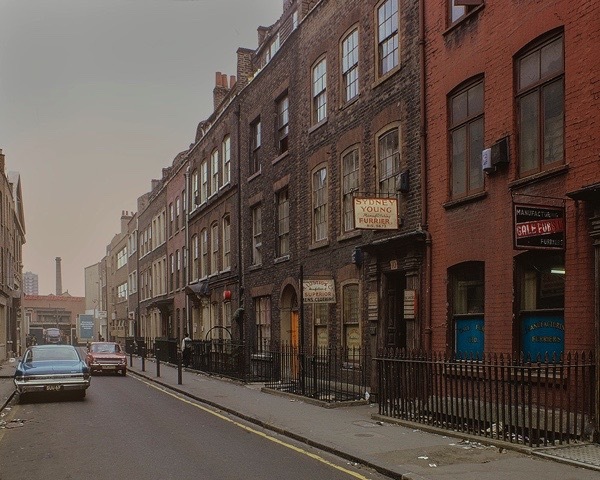 I very much remember the Brick Lane area in this sad and sorry state, in particular the early eighties when living in Broadway Market, London Fields. Early every Sunday a visit to Brick Street market was an obligation, to scrabble around for treasures through the piles of what would be classified now as ‘vintage’ clothing. I often wondered how much dismal torment these splendid building could take and in any form survive. Often the heavy front doors of the original Huguenot houses were open, as then rented in mostly individual rooms, revealing the broken down state of the interiors. 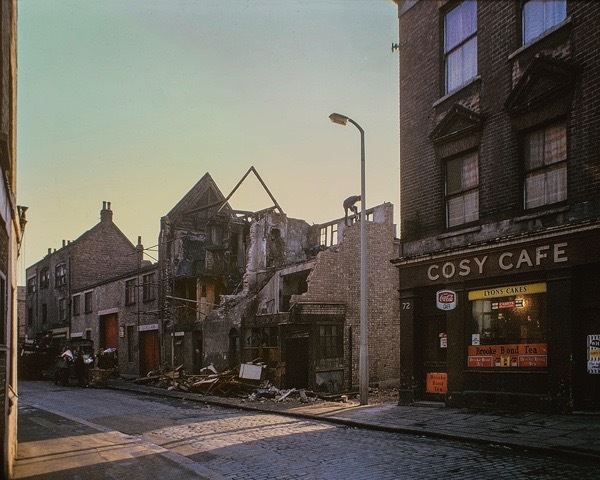 Thankfully, those buildings that survived the swing of the ‘demolition ball’ have been revived and survive as a reminder to my and others Huguenot heritage. Viva Spitalfields! Such an incredible work covering so many great little corners. Just ordered a copy of the book. 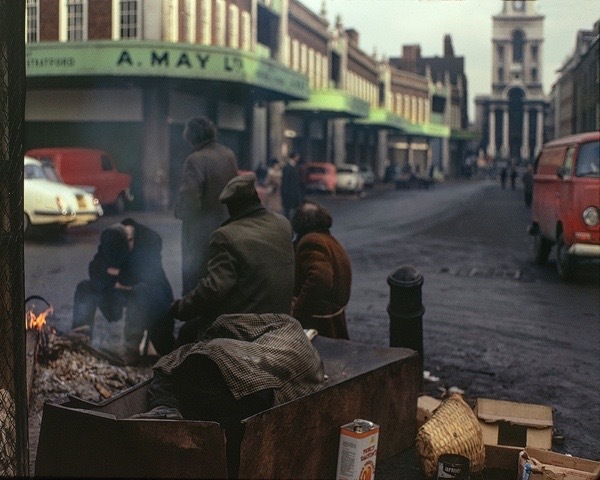 marvellously evocative photos, with that special 60′s colour palette that I remember so well! 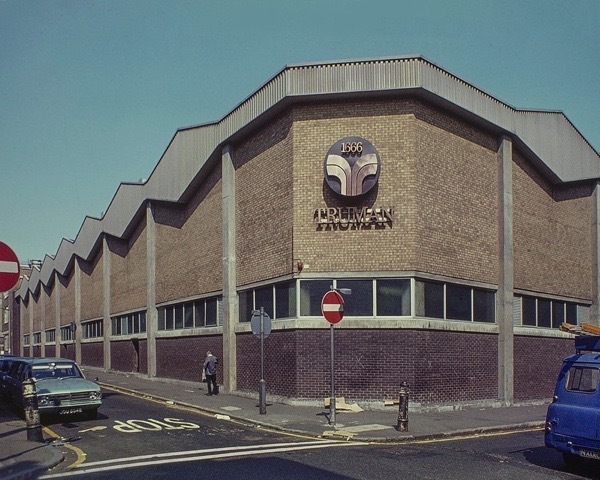 Truman Brewery on my Dad’s doorstep loomed large. 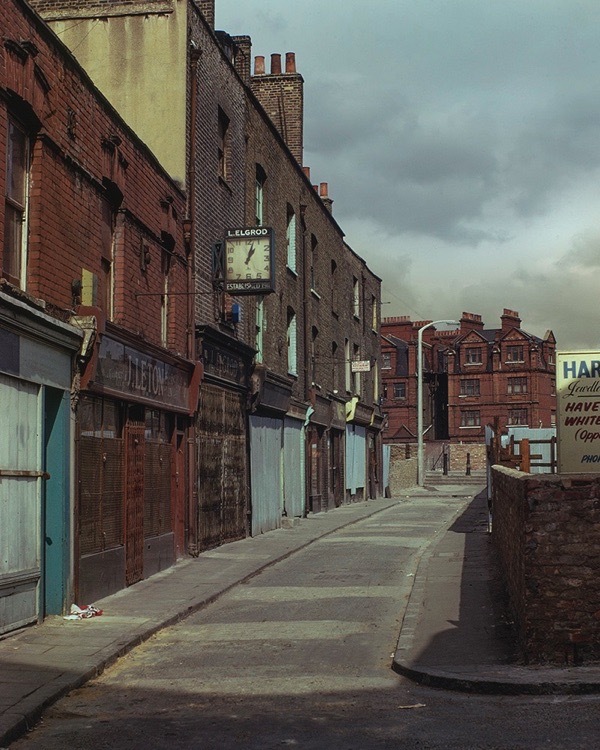 These are simply wonderful photos, capturing the period so well and thankfully taken in colour – showing that the sun did shine in those days, even on the East End. Just brilliant. What clarity! What colour! What poetry! 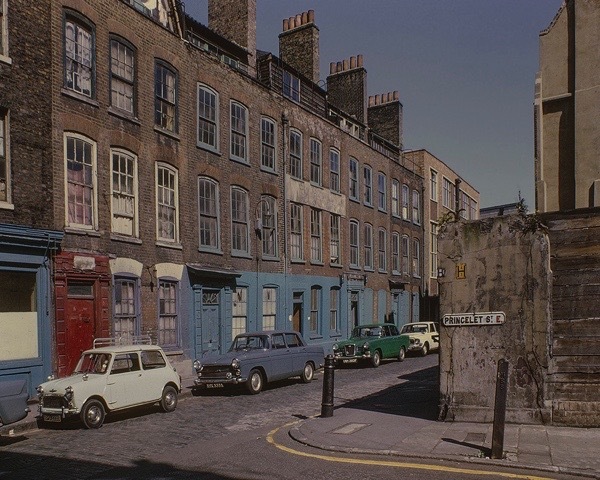 The London we will never see again. Stolen. Wiped out. Left to degrade. What beauty! The exhibition is superb, I saw it last week. The book is beautiful too. But the overall feeling one is left with is an overwhelming melancholy. Even now, looking at these wonderful pictures I fell a lump in the throat. To look at these images to see the slow death of old London, the rapid fading of the once grand old Victorian metropolis following the brutal destruction of the war and several decades of arrogant, heartless town planning and development that robbed the people of their homes and communities and replaced them with faceless corporate blocks of glass. 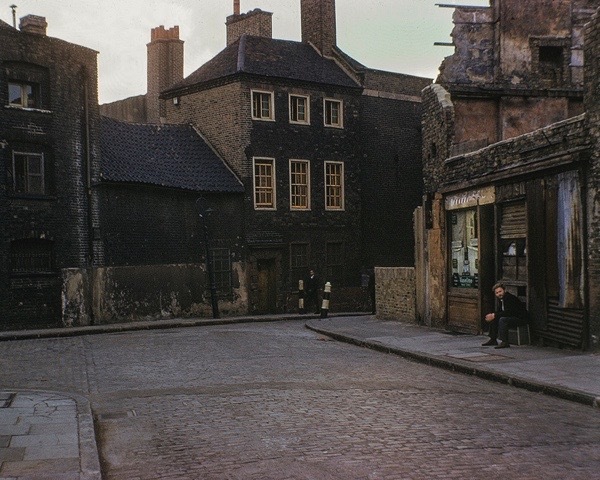 I remember the period when these pictures were taken and looking at them now is as if I have been somehow transported back through the mists of time. 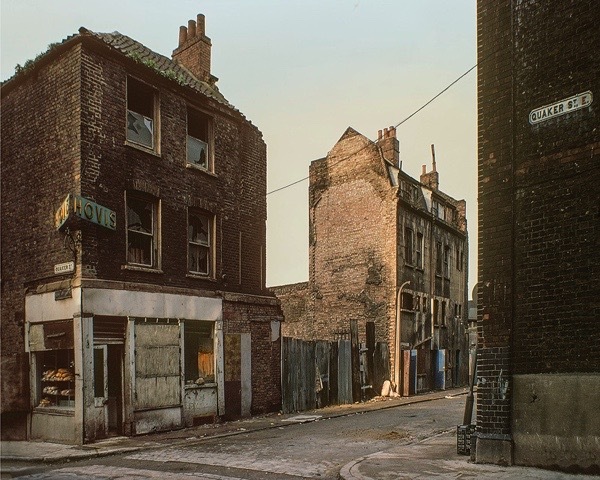 The colours show the reality, the terribly sad state of this part of London, the odd shops among the broken shells of houses, streets where there were more gaps than houses, like a mouthful of bad teeth. 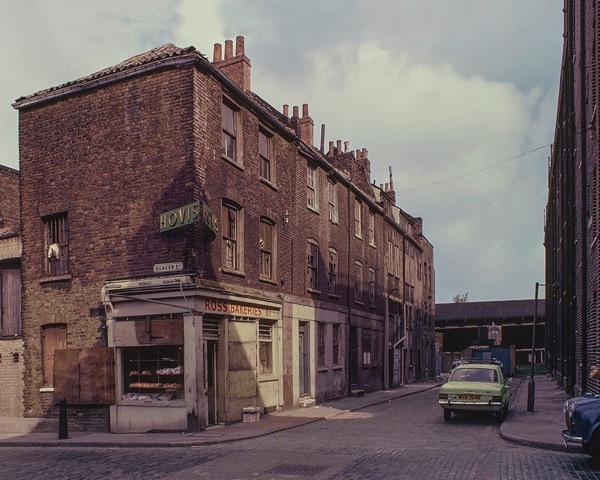 There never was a sadder time for the great City that we all love, a time when gleeful architects and ignorant town planners seized the chance to start killing off the old streets and pushing out the communities that they despised. If you get a chance to see the exhibition I urge you to go, but be prepared to hold back a tear or two.